We have a number of Experts by Experience available to talk with health professionals at conferences and events - all women who have themselves experienced and recovered from PP. Share the experience gained from supporting others. All of our experts have the breadth of knowledge that comes from supporting many other women and families with the condition (online, via email and in-person) and engaging with the health professionals in their area. Our Experts are robustly supported by APP. They have access to APP’s PP academic and clinical experts with international reputation, ensuring that they are well-informed and have up-to-date knowledge. Our experts by experience are supported by robust safeguarding protocols and quality assurance measures within the organisation. 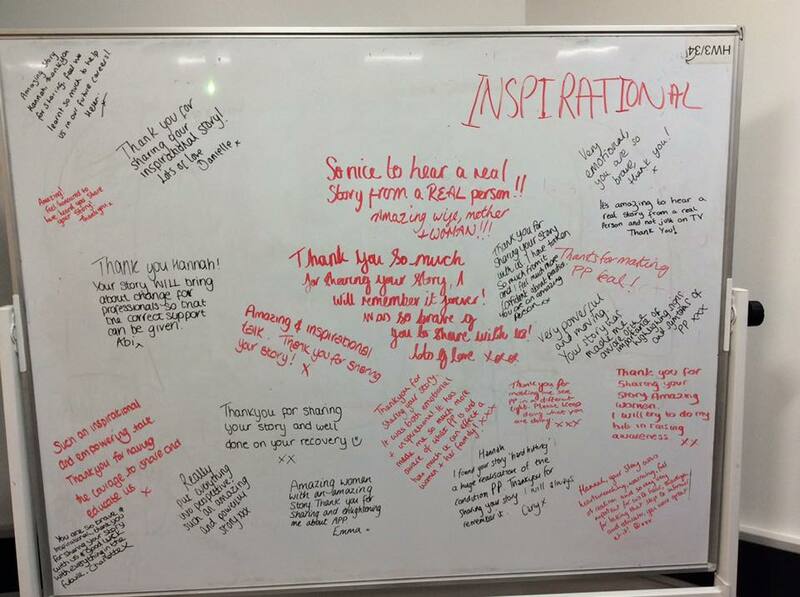 "Your session was so well received and mentioned repeatedly in the evaluations as one of the best parts of the training – so powerful. I understand from my colleagues that you also had quite a few questions from the audience and thank you for your honesty and openness in handling those so well." To book an APP Expert by Experience for your event, please contact us to discuss requirements and availability. Prices available on request, or, you can download our Training fees here. Training package includes sets of PP Insider Guides for each delegate. 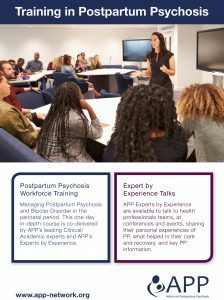 APP offer a training package in Postpartum Psychosis (PP) and Severe Mental Illness (SMI) in the perinatal period, delivered by a Consultant Perinatal Psychiatrist OR Senior academic, AND one of APP’s Experts by Experience. The one-day training course is suitable for all professionals working with women and families in pregnancy and the perinatal period, including Psychiatrists, Midwives, Health Visitors, GPs, Obstetricians, Mental Health Nurses, Psychologists, IAPT workers, Psychotherapists, Social Workers, and Acute & Emergency staff. By utilising clinical experience, cutting-edge research, and the real experiences of affected women and families, the course will up-skill the workforce, developing expertise and empathetic understanding. Learning objectives will address domains in the PMH competency framework, with a specific focus on the risk areas of SMI and Postpartum Psychosis. For more information or to book an APP Expert by Experience and Clinical / Academic Expert for your training event, please contact us by email or telephone on 020 3322 9900 to discuss requirements and availability. Prices available on request. Please also download the APP Training Flyer This one-day workforce training package includes training resources, sets of PP Insider Guides for each delegate, and our travel to your site. How else can APP help? Our clinical/academic PP experts and Experts by Experience can input into or review plans for service developments to ensure that they are appropriate to meet the needs of those affected by PP. 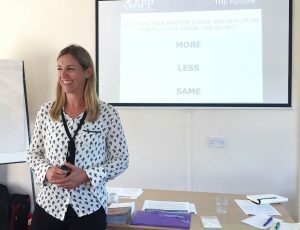 APP is able to contribute to your management pathway by offering specialist peer support in the antenatal and postnatal period, from our experienced volunteers, with training, support, quality assurance, and safeguarding provided by APP. We can provide patient information guides for those affected by PP, or to support health professional training. Please contact us to discuss your requirements.